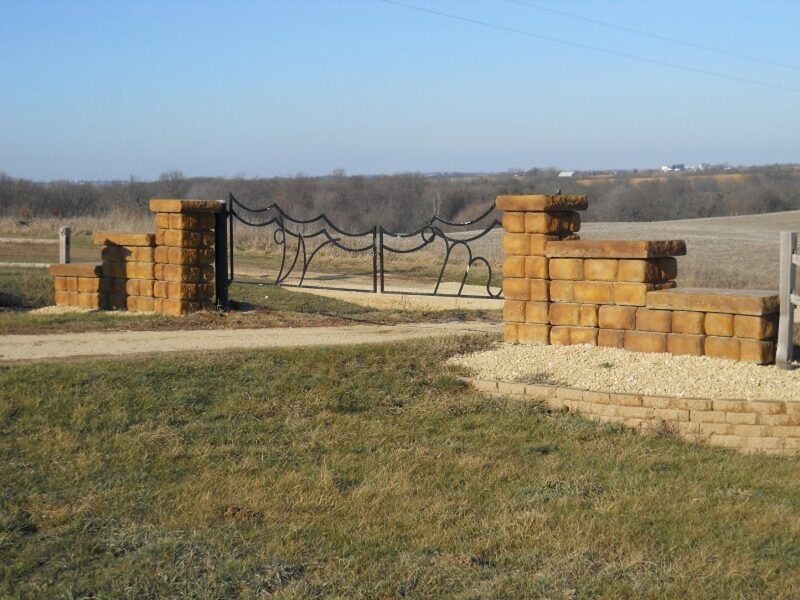 This Resort offers everyone a chance to get away from it all and do some hiking on the trails surrounding the area, enjoy a quiet time fishing for bluegill & catfish in the nearby 2 acre pond available at the facility, or just kick up your heels and relax with a good book on the park benches along the trails. You can also try cross-country skiing on the winter trails. Many times in the evening you can see deer grazing on the 30 acre grassland near the cabins or you may view the ducks landing in the pond after a hot summer day. 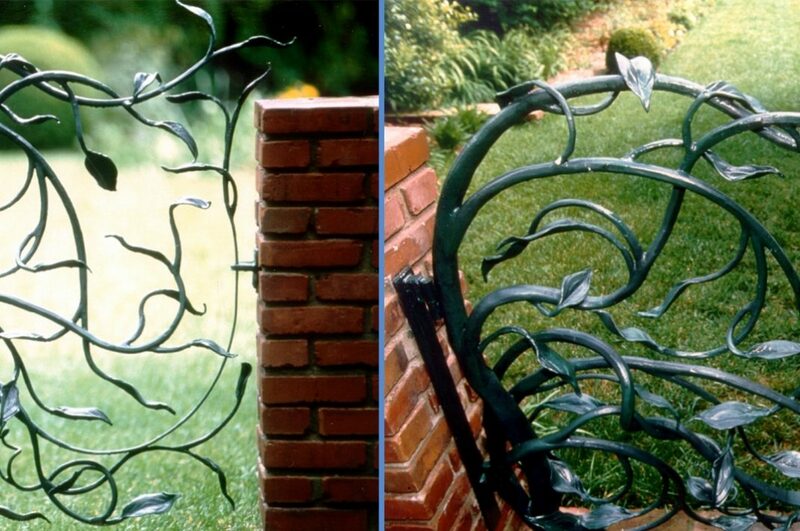 "The owner has quoted life-cycle costs and durability as reasons for galvanizing the gates." 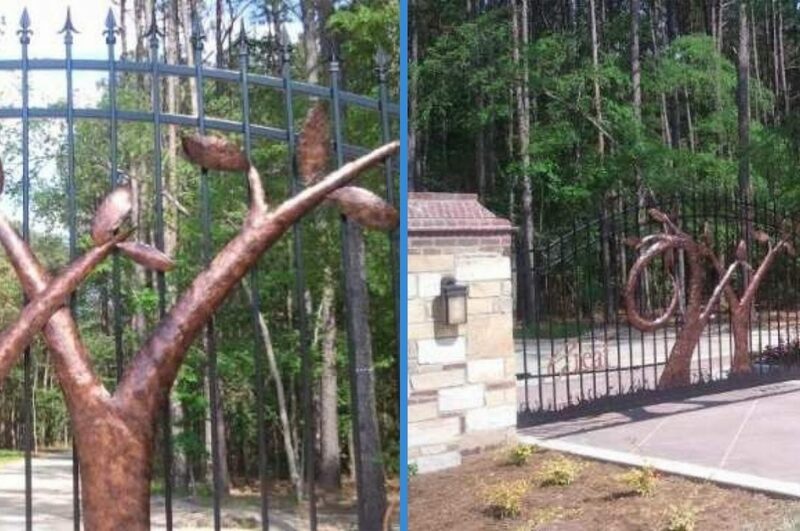 This Resort is looking for a lasting touch including the custom designed gates that gives everyone their memorable first impression. 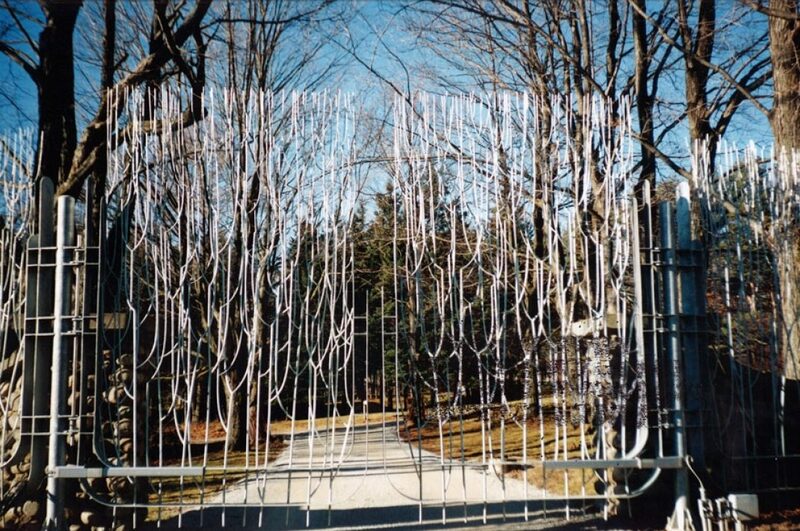 That is one of the reasons that Whispering Meadows chose galvanizing for their gate; they want a long lasting finish for a lifetime of great first impressions. 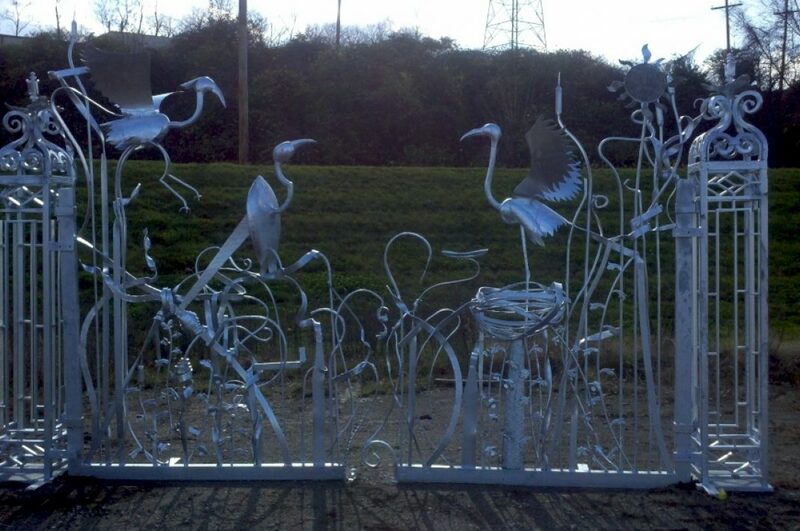 The owner has quoted life cycle costs and durability as reasons for galvanizing the gates. 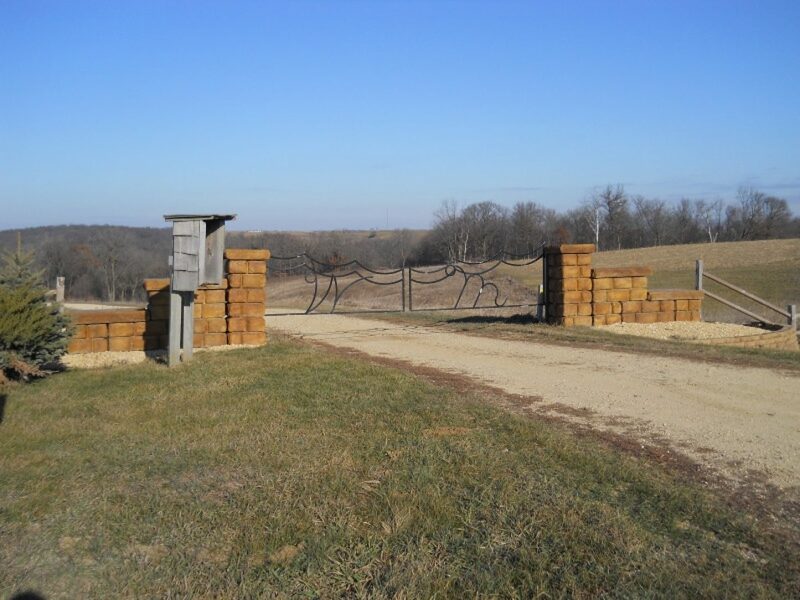 With the open country surrounding this area, the weather can be harsh and gritty. With the duplex coating, he felt this would be his best solution for long lasting durability. 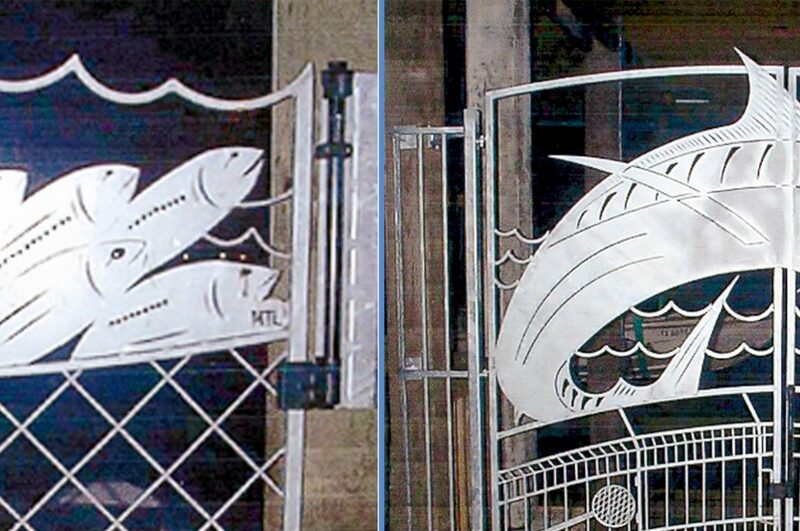 The specifier designed these gates with an artistic flair as you can see from the photos, and the welder went to work rounding all of the shapes in steel. This was no small feat working with specially designed rounded steel tubing that was produced in-house. The many angles and hard to reach areas also lent itself to galvanizing since it reaches everywhere and coats the inside as well. This was chosen in order to stop the corrosion from the inside-out. Another reason the owner decided to go with galvanizing was its green aspects. With this get back to nature resort, he wanted something that was sustainable and earth friendly. Since galvanizing is 100% recyclable it was an obvious choice for him.